Legal Shield Review – How Good Is This Business Opportunity? There are various ways to start your own business online. One way to do so is to buy in to an existing opportunity, and work with their established business model. One such system is Legal Shield, which allows people to work in the field of law and insurance, without actually having to be legally trained themselves. Let’s take a look at this particular opportunity, what it offers and what you can get out of it. Legal Shield has been around since 1969, although it has been known under different names, including PrePaid Legal. It offers legal insurance, and the idea behind it was developed by the owner, Harland Stonecipher, after he had a very serious car accident. The owner did indeed have medical and car insurance, but he did not have any cover in place to work on the legal bills that he was faced with after his accident. As a result, he created Legal Shield, which specifically offers insurance for these types of bills. Essentially, for a monthly fee, different coverage can be offered. They are then covered for the legal fees incurred after an accident, as well as receiving legal representation. There are a number of different plans that Legal Shield offers. Their most popular on is the $26 a month Family Plan. 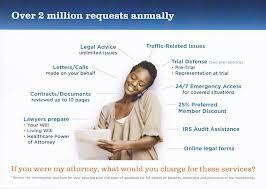 This covers trial defense if it is needed, various problems on cars and assistance with an IRS audit. Additionally, it includes preventative legal assistance, which is hugely important. This looks at such things as having an up to date will, as well as an additional 25% discount on any legal issue that is not covered as standard within the package. It offers a range of other packages as well, including one that focuses specifically on identity theft. This is a very serious legal problem that is becoming more and more commonplace in the world today. The packages can be divided in personal plans, plans for employee benefits, plans for small businesses and plans around identity theft. Essentially, the goal is for people to no longer have to worry about high legal fees if they have any kind of problem. One of the things that makes Legal Shield truly different is that they also offer a business opportunity, and it is here that people are able to earn their own living through this company. Essentially, you can sign up as a sales associate, which allows you to take advantage of the compensation plan that is on offer. Legal Shield is a highly respected name that offers insurance coverage that people are actually looking for. This means that by signing up to the opportunity, you will actually be offering something for which there is a demand. This is one of the greatest benefits of working in network marketing, as the demographics and products research has been done for you. This means you only have to find the right channels in order to actually sell the service, something that Legal Shield will assist you with through training and compensation all the way through. This means that being successful is far more likely than in any other kind of business. To sign up as a sales associate of Legal Shield, you will need to pay a one-time only fee of $249. The compensation plan is very interesting. Firstly, there are the commissions earned on sales, which are paid in a yearly advance. Secondly, there is the ability to build further residual income, which is paid out if a member holds their membership for at least one calendar year. Legal Shield actually gives their representatives leads, which means they are able to immediately get their foot in the door. Naturally, the actual work still has to be done for you, but you do get that head start. The start-up fee is one of the lowest in the industry. Legal Shield has been officially authorized as a network marketing company. This guarantees that this opportunity is not some sort of pyramid scheme. The business is incredibly well-established, currently providing legal assistance to 1.9 million people each year, as well as legal services to another 1.4 million. As this is a true business opportunity, it also means you will have to work very hard for your money. Those who expect some sort of get rich quick scheme will be sorely disappointed. Naturally, nobody really got rich doing nothing at all, but some of us still hope that they will be the exception. Those who look for that in the Legal Shield opportunity will be disappointed. There is some fear about market saturation. The company has been around for a long time, which does make it more difficult to find new customers, either because they already have an insurance policy, or because they used to have one. Legal Shield is a real business opportunity that offers a highly popular service for people across our country and Canada. The service it offers, legal representation and coverage above and beyond medical insurance and accident cover, is one that people need and look for. Through their business opportunity, you are able to sell this service to other people, earning commission and residual income. There is some degree of market saturation, which does mean that you will only be able to earn if you are willing to work very hard for it. However, Legal Shield does provide you with information to get you started, including a number of leads, which means you stand a very good chance of actually making a living. Additionally, they are authorized as a network marketing company, which means they are not a pyramid scheme designed at taking your money and giving you nothing back. Finally, the start-up cost is very reasonable, and probably one of the lowest in the industry. As such, I fully recommend Legal Shield to anybody who wants to try working from home, having their own business.